Online gambling is 100% legal in the United Kingdom and heavily regulated by the UK gaming commission. Learn how to stay compliant as a UK player and which sites are considered the most reputable. UK residents are fortunate in that they have a wide range of legal online gambling options to choose from. You will find casino, poker and sportsbook gambling available online, as well as lottery, horse racing and bingo. The key to remaining on the legal side of the fence when enjoying online gambling in Great Britain is to make sure you only visit legally licensed destinations that have been certified to offer their services to UK players. This guide will provide you with insight into the legalities of online gambling in the UK, as well as information on the industry's leading gambling sites that welcome British players. Informed players will be able to better navigate the complexities involved in selecting a premium online gambling destination that is legally operating within the industry and compliant with all UK gambling laws. Therefor our objective is to provide a comprehensive resource for you that leaves you well with the knowledge necessary to make informed decisions regarding your involvement with legal UK online gambling entertainment. Below you will find a listing of gambling sites that have been vetted by our team of analysts and approved as reputable and high quality brands. Is Online Gambling Legal In The United Kingdom? Online Gambling Is 100% Legal in The United Kingdom and is widely enjoyed by millions of European players. All UK gambling sites are highly regulated and must adhere to stringent standards by the UK Gaming Commission. We only recommend sites that are licensed by the UGC which we know to be fair, safe and legitimate gambling options for players. While there are several legal options for online betting for UK players, there is one particular site that stands above all the others. Bet365 is a world class brand offering all sorts of online betting options for UK residents. They are so popular in the United Kingdom that players are more than likely familiar with their name since they spend a lot of money on commercials and advertising, as well as have brick and mortar betting shops located all throughout the UK. The reason why players love Bet365 is the fact that by opening one players account, players can enjoy betting across all of their platforms including a world class online casino powered by Playtech, a live dealer casino, a very busy online poker site with plenty of fish, and finally one of the best online sports betting platforms found in the industry. They offer various bonuses depending on what your betting fancy is, and they pay extremely fast even if you win big. Needless to say we love Bet365 and know you will too. They truly are one of the most reputable sites you could choose to play at and a name you can trust. As one of the most accepting regions when it comes to online gambling, there are a number of options available to UK players seeking legal real money casino games online. Not only do British players have a nice selection of UK based gambling sites, but the nation also embraces offshore betting sites as well. Residents from Great Britain probably have the longest list of available online casinos to choose from as compared to other nations. That being the case, making informed decisions regarding which destinations you will consider playing at is crucial. 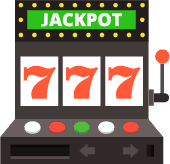 While each site must be approved by the UK Gambling Commission and meet minimal licensing requirements, not all approved casinos are created equal. There are clear industry leaders that offer the most secure, high quality, reliable and customer oriented experiences out there. The online casinos that we recommend for UK players are among the most trusted and respected brands in the business, and are all legally sanctioned to provide their services to residents of England. They include destinations that are powered by the top software solutions such as Microgaming, and Playtech, and that make UK players a priority. Many of our featured brands also offer players the option of enjoying their online casino via their smartphone or tablet, with responsive technology that accommodates nearly all mobile devices and networks. Poker is extremely popular throughout the UK, both online and offline. The gambling laws in Great Britain do permit online poker gambling from both an operator and a player perspective. UK residents enjoy a nice selection of legally licensed poker rooms that can legitimately offer gaming services to them. The addition of the 2014 Gambling Bill, also known as the Advertising and Licensing Bill, has chased away a few prominent brands from the UK market due to the added tax burden and licensing requirements. However, the UK online gambling market is so very lucrative, that most offshore brands are willing to endure the new hoops they have to jump through because the revenue stream is so worthwhile. As with the online casinos that accept UK players, you must also be diligent when selecting an online poker site at which to play. Our team of industry analysts has performed extensive reviews on the many poker sites offering services to poker players in Great Britain, and has comprised a listing of top recommendations based on the results of our research. A little further down on this page, you can see a list of some of the key criteria that is required for any brand to be included in our guide. They are all licensed and regulated, and legally offer poker gaming to British players in accordance to all gambling laws in the UK. What Do The Laws Say About Gambling Online In The UK? As previously mentioned, online gambling is legal in the UK. From 2005 through 2014 the primary law governing online gambling in Great Britain was the Gambling Act of 2005. This piece of legislation served to regulate the industry and to create the UK Gambling Commission. The law allowed gambling sites that were licensed by the commission to advertise and provide betting services to UK residents. The governing body also managed a 'white list' of approved offshore gambling sites that could also participate in the UK online gambling market. Some of this changed with the 2014 Gambling Bill, which requires any online gambling business that intends to advertise to and provide services to UK residents to acquire a license through the UK Gambling Commission and pay a 15% flat tax, as well as licensing fees. As you can see, all of the regulatory oversight associated with legal UK online gambling is directed at business operators, and does not really affect players. As long as British players are at least 18 years of age, they are legally able to engage in licensed online gambling. The UK region is one of the more progressive areas when it comes to Internet betting laws, providing one of the widest variety of options for gamblers. Below we provide information on casino, poker and sportsbook gambling, but UK players also have access to enjoying online bingo, lottery, skills games, and racing. How Do I Know If A Site Is Reputable? This is actually the most critical factor when enjoying online gambling. Finding a legally sanctioned, reputable and high quality destination is paramount to a successful betting experience. Not every single sportsbook that welcomes players from the United Kingdom is legitimate or reputable, no matter how professional their appearance may be. Savvy web design skills have seduced many a bettor who didn't perform their due diligence in vetting a betting site and ended up at risk for fraud and theft. Our goal is to provide you with information that is concise and direct for avoiding a questionable, fraudulent or simply low quality gambling site. We implement an intense review process that places each brand under the microscope concerning every tiny piece of their operation. As industry professionals, we know what to look for to determine the legitimacy, quality and commitment of any gambling site. Here is just a small listing of some of the criteria we demand when evaluating any gambling site. The full list of criteria that we look for is much longer, but you get the idea. We don't settle for brands that simply meet the minimum licensing requirements, we want to see a commitment to providing a premium gambling experience for each customer on every visit. While the 2014 Gambling Bill did stir the pot a bit and drive away some premium gambling brands who were not interested in the new requirements this law administered, all in all it is business as usual for UK players. There are currently no threats of any major negative changes to the market, and in fact fantasy sports has just made a debut to the British sports community. We expect most changes for the near future to be in the way of expansion of the industry due to its strong revenue stream and financial benefits to the bottom line in Great Britain. Gamcare - Gamcare is an excellent website for anyone living in the United Kingdom who needs help with gambling addiction.